Color blocking can seem like an overwhelming task, but can create so many looks from a single pattern! 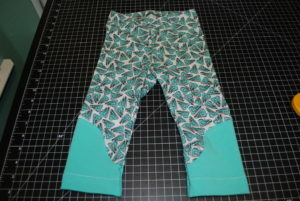 I’m going to show you how to create your own color blocking patterns to give the Baby Boy Leggings pattern a fresh appearance! First, you’re going to need to grab the pattern. Purchase it here. 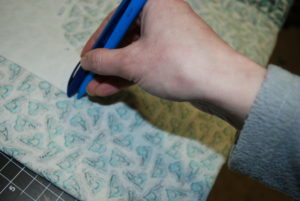 Once you have it printed, you can either cut out your pieces directly from the pattern, or trace it as I did here. I wanted a geometric twist for these. You choose the look you want! 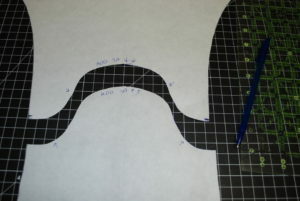 I measured 3″ from the bottom, so after hemming, the color blocking will be 2″ from the bottom. 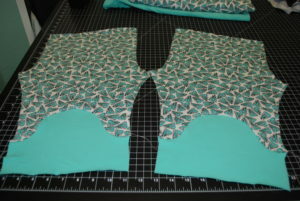 I marked that spot, then folded the pattern piece in half matching up the bottom and crotch piece. Then I drew the design I wanted. 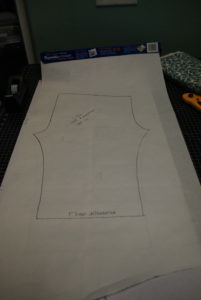 I cut the pattern pieces directly from that. 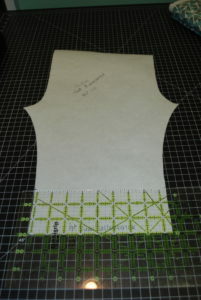 From here, you have the option of tracing it to create another pattern with the seam allowance built in, or you can do what I did! I used a pen and a fabric marker. 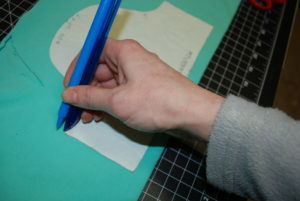 Holding them together I created the perfect 3/8″ seam allowance, and I traced it onto my fabric. 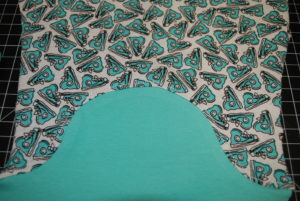 The main piece, and the color blocked piece! 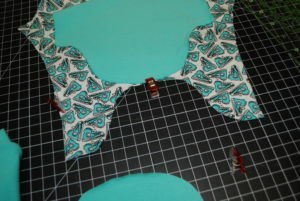 Now, starting from the middle (I folded both pieces in half to find it), start “pinning” to the outside, right sides together. 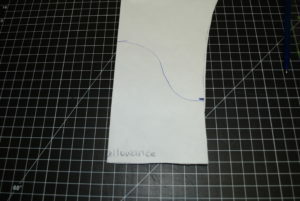 Sew or serge them together, using the seam allowance you added. Press the seam. 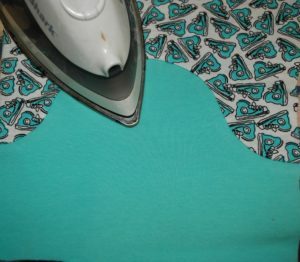 If you used a sewing machine and a stretch stitch you can press it open to reduce bulk, or just press it all to one side. You have created one pant leg. Repeat for the other pant leg. 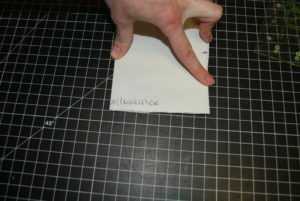 Now, you assemble the pattern per the instructions! Voile! You’ve created a whole new look for a pattern! 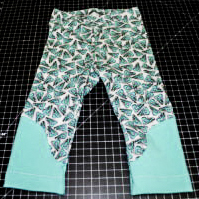 The boy(s) for whom you sew will have endless possibilities for bottoms from a single pattern in your collection! 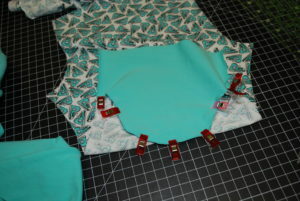 Be sure to share your colorblocking on the Mamma Can Do It facebook group!